6 SEPT 18 John Jenkins Clive Caldwell Spitfires and new Gauls arrived. 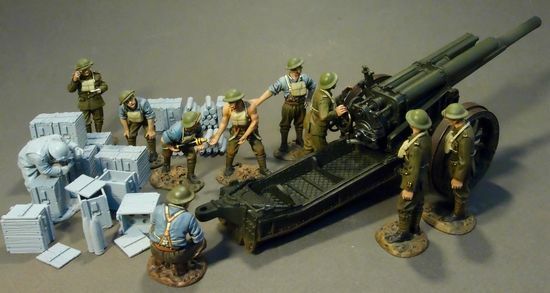 This page is to show some of the artillery items available from different brands and eras. To order them please go to the relevant brand and category. 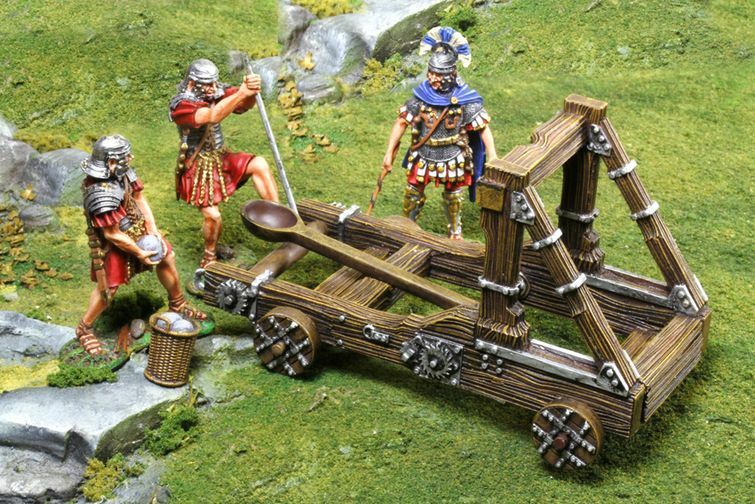 Roman catapult and scorpion from Collectors Showcase. 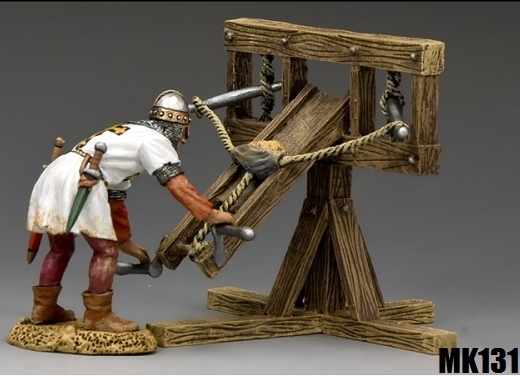 Medieval ballista from King and Country Crusader series. 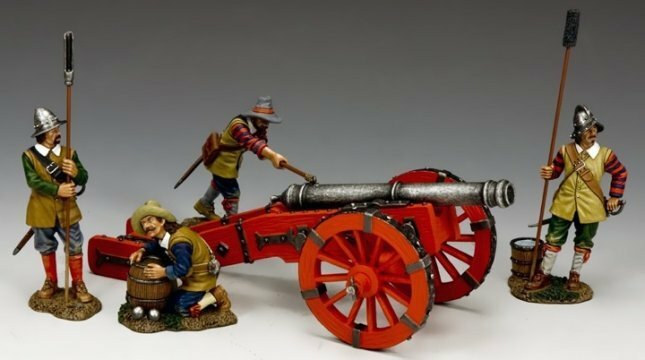 One of the two artillery sets available from the King and Country English Civil War series. 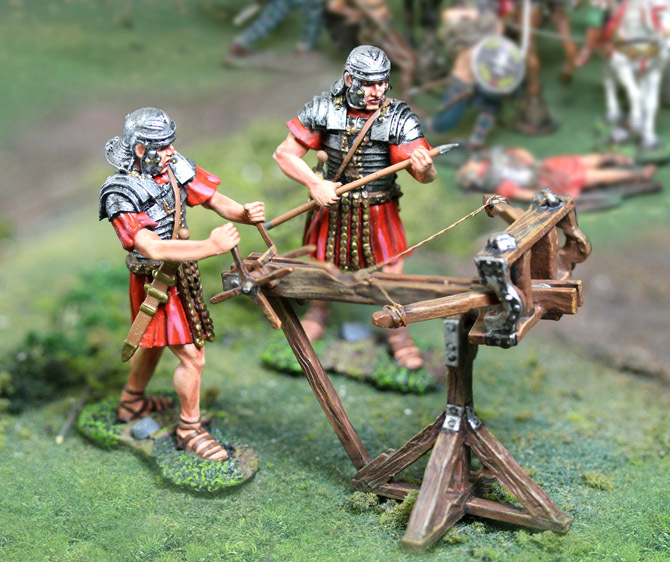 Artillery set from the Britains Clash of Empire series. 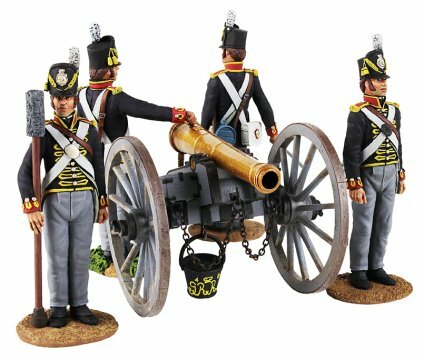 British artillery set from the Britains Napoleonic series. 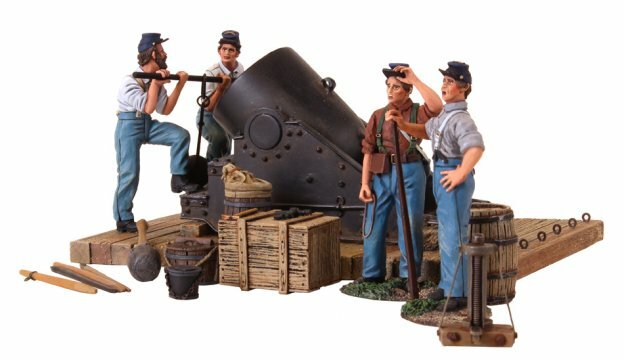 American Civil War mortar from the Britains ACW series. 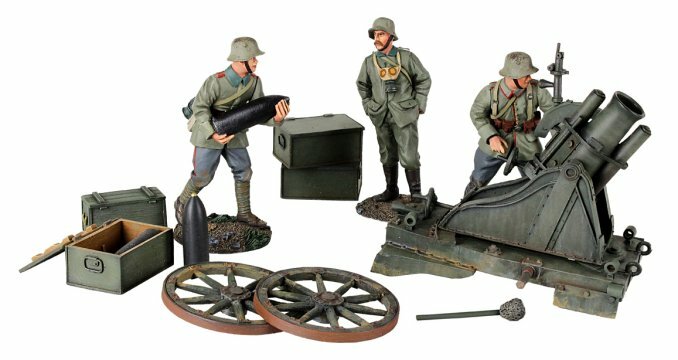 WWI German artillery set from King & Country. 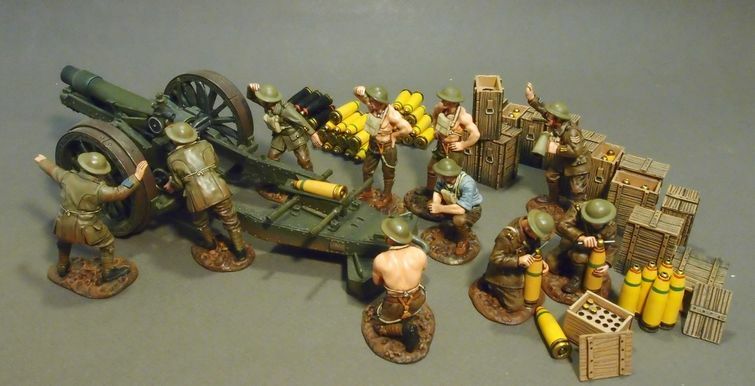 WWI British artillery and figures from John Jenkins. 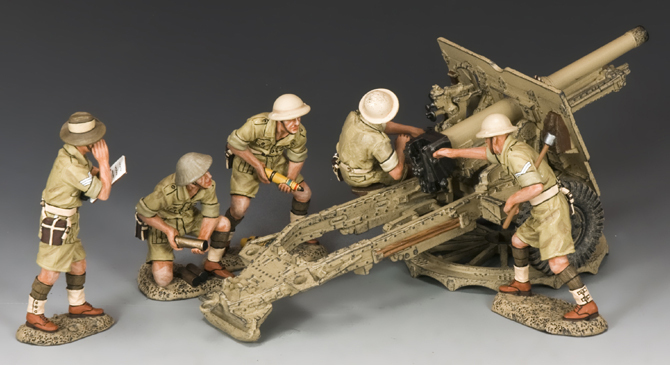 WWI British anti aircraft gun and figures from John Jenkins. 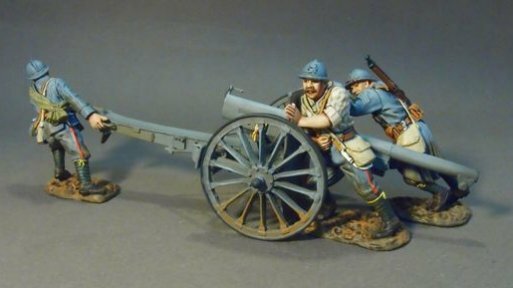 WWI French artillery and figures from John Jenkins. 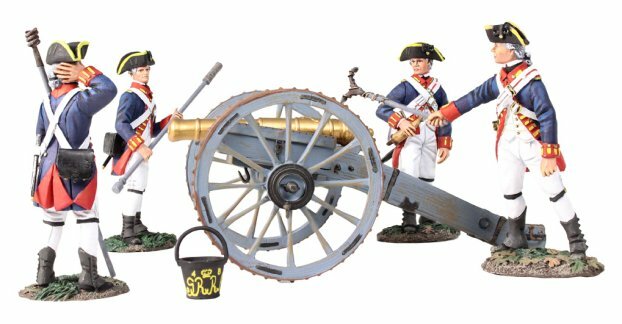 WWI British artillery and figures from Britains. 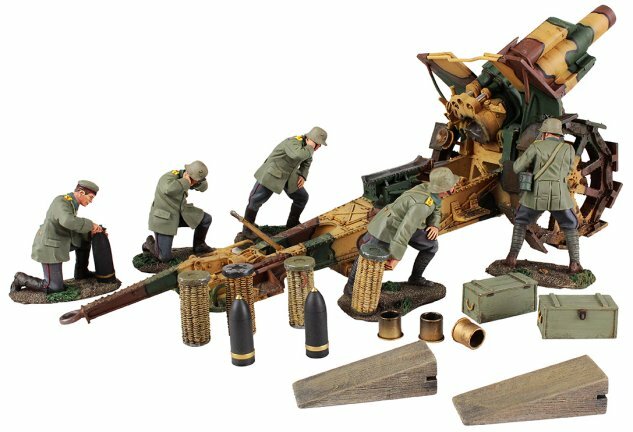 WWI German Howitzer and figures from Britains. 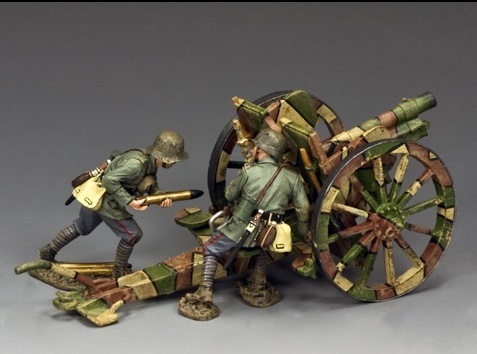 WWI German mortar and figures from Britains. 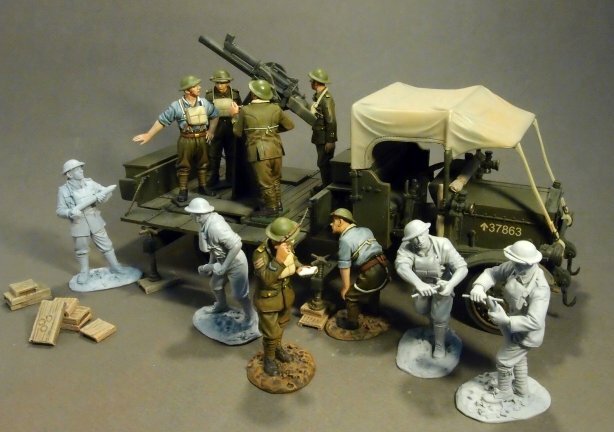 WW2 Australian 25lb artillery and figures from King & Country (British set also available).